Fujifilm has unveiled its an entry-level interchangeable lens camera, the X-A1. The new mirrorless shooter is equipped with a 16.3MP APS-C CMOS sensor, EXR Processor II, a 3' 920K-dot tilting LCD, a built-in stereo microphone and a pop-up flash. 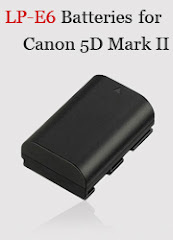 Additional camera's features include 1080p video recording at 30 frames per second, Wi-Fi connectivity, and five film simulation modes. The X-A1 will come bundled with a 16-50mm f/f/3.5-5.6 kit lens and will be available in two body colors, black and blue, in September for $599.95. 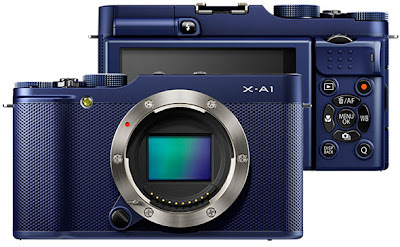 FUJIFILM North America Corporation today announced the new FUJIFILM X-A1 compact system camera (CSC), the fourth interchangeable lens system camera introduced within the award-winning FUJIFILM X-Series. The ultra-light X-A1 gives consumers an affordable entry point into the X-Series line of digital cameras and delivers outstanding image quality using its large 16.3 Megapixel APS-C CMOS sensor, easy operation and wireless image transfer for quick photo sharing.